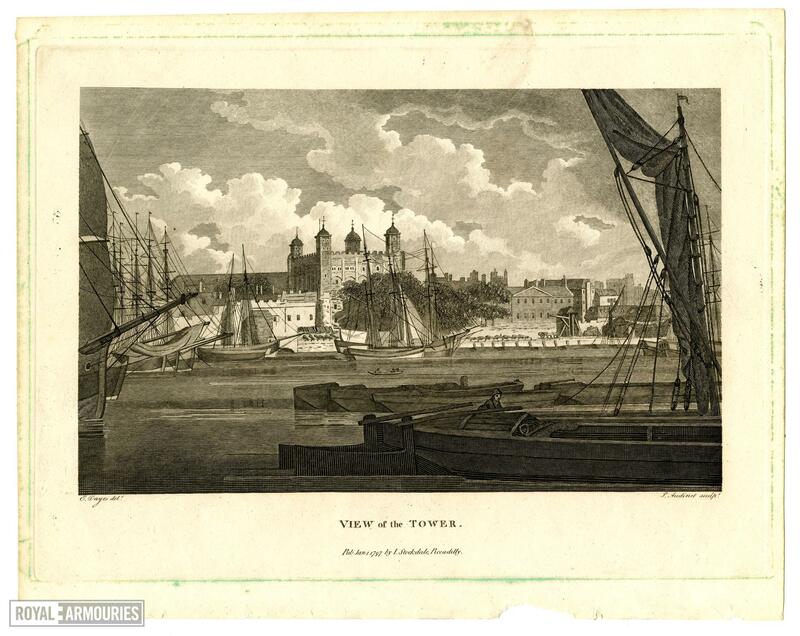 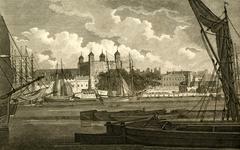 Engraving, showing the Tower from the river, with the Wharf with its 'line of guns' and the Ordnance Office as rebuilt after the demolition of the Lanthorn Tower. 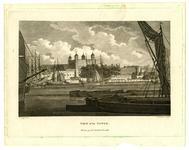 Drawn by E. Dayes and engraved by P. Audinet. 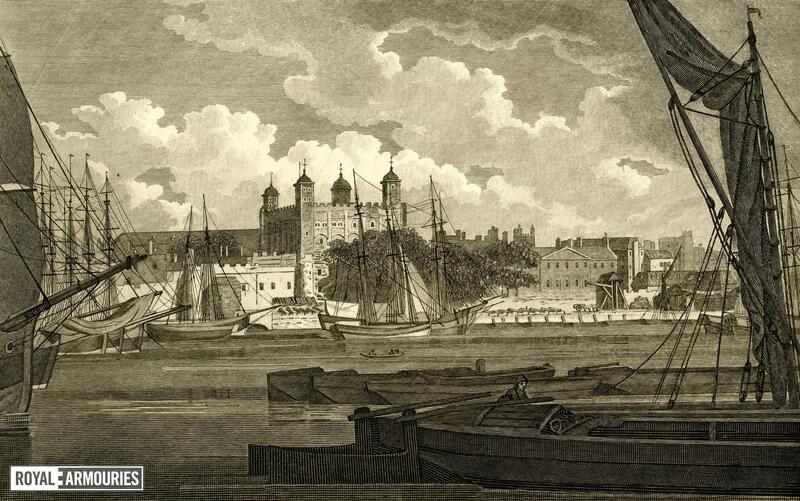 Published Jan 1 1797 by I. Stockdale, Piccadilly.